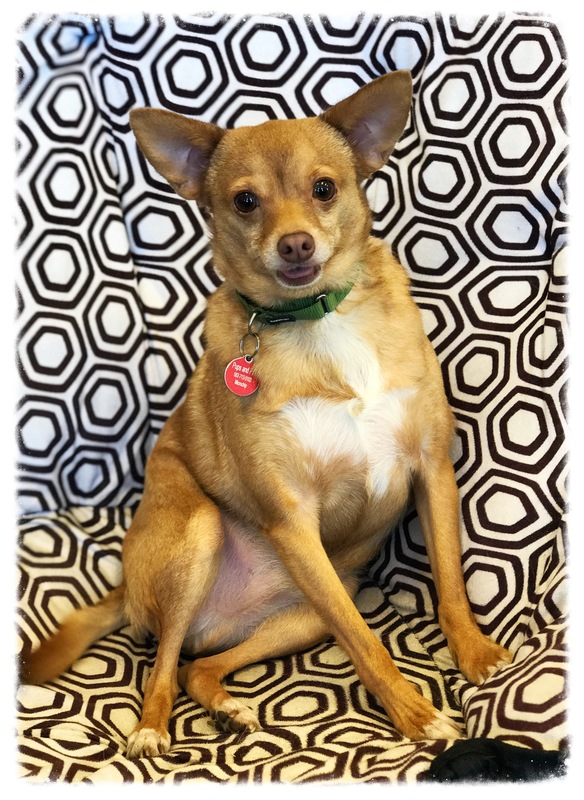 Nucky is a male 6 yr old (born 4/12) Chihuahua. He is a beautiful red/white boy on long legs. 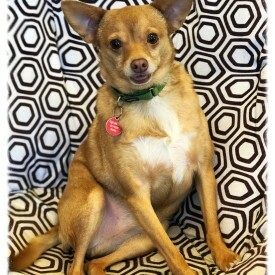 Nucky is tall and weights 9.5 lbs. 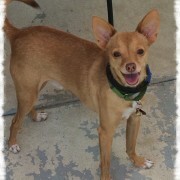 Nucky is very sweet, especially to children, he loves children. 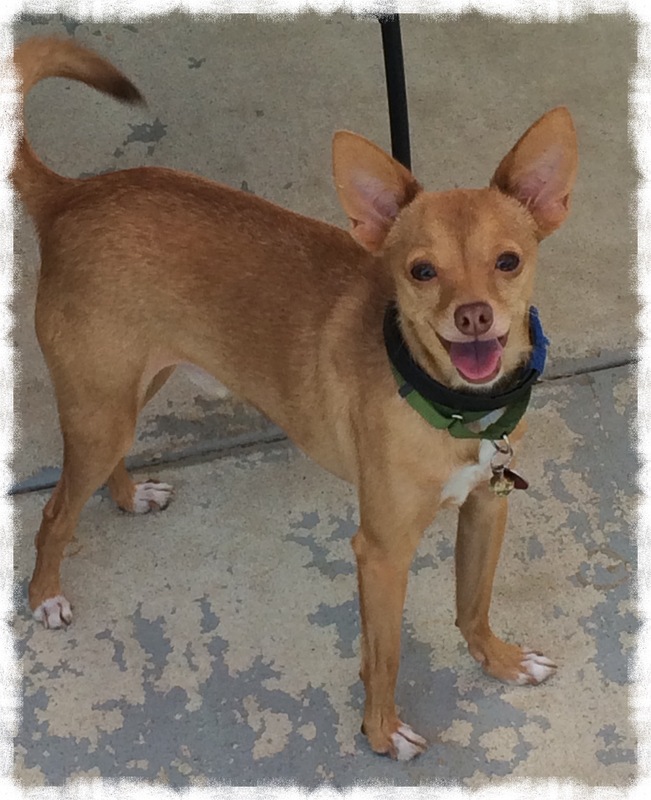 Nucky does well will other dogs as long as they are not too intimidating and likes to play with his toys. He is also snuggly and likes to be carried under jackets, so cute. He likes a game of tug and knows to sit for food. Nucky enjoys a car ride or a walk or just hanging out with his people. He is not very vocal and looks like a little deer. Most of our dogs are not available to an out of the area adoption because of difficulty to follow up. 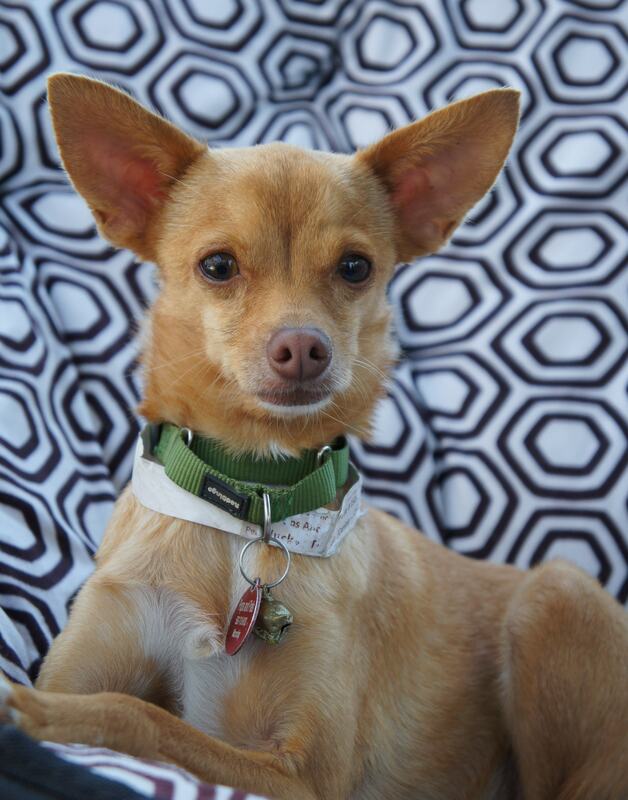 If you do not live within a 2 hr drive of Orange County, please email us before applying to see if the dog you are interested is may be a candidate for long distance adoption. 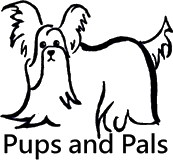 If you are interested in adopting one of our special babies, please visit our main website for adoption procedures at www.pupsandpals.net and then fill out our application. Please note that we are all volunteers so it may take up to 3 days to process your application, but you will hear back from us. We do not have a shelter so individual appointments must be made to meet the pet you are interested in. 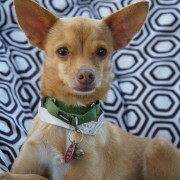 Our pets are fostered/boarded all over LA and Orange County. This pet is altered, vaccinated, microchipped, and has had a brief temperament evaluation to help us determine what type of a home he/she would thrive in. Please note that we put lots of time and effort to make sure our pets are ready to be someone’s perfect pet before they go home…. and to make sure that we will have the best possible match for this pet we do require an : application, phone interview, adoption fee and in some case a home check. PLEASE DO NOT call or email to see if a pet is available. We update our pages daily so if he/she is pictured here in the available dogs section, we are accepting applications at this time. you can also donate through paypal click below and thank you.